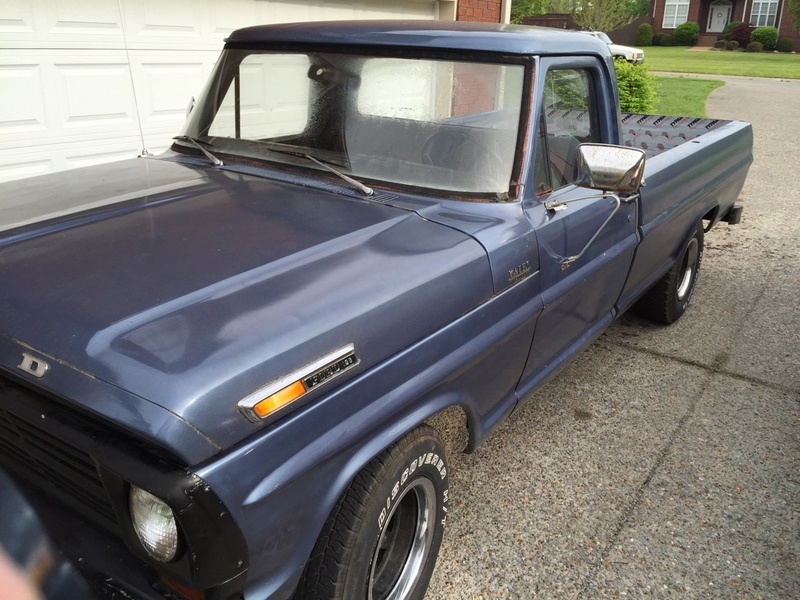 This is a few years old but it’s a 1969 F100 with a 390FE, Holley 4 Barrel and C6. We’ve had it for about 4 years but other than a new carb haven’t done much with it. Runs well, needs body work and a new interior. Previous owner decided it would be a good idea to put house wrap tape all over the inside of the bed so still trying to figure out how to get that off. Anytime you peal it off just leaves a sticky mess. Hoping to finally get to work on building it this year. Putting all new brake lines and master cylinder in it currently.